The exercise will never hurt you—only improper form causes injury. Master the essentials of proper weight training and be safe while performing the squat, lunge, leg press, lat pulldown, reverse fly, bench press, chest fly, shoulder press, shoulder raise, biceps curl, triceps extension, plank, and more! 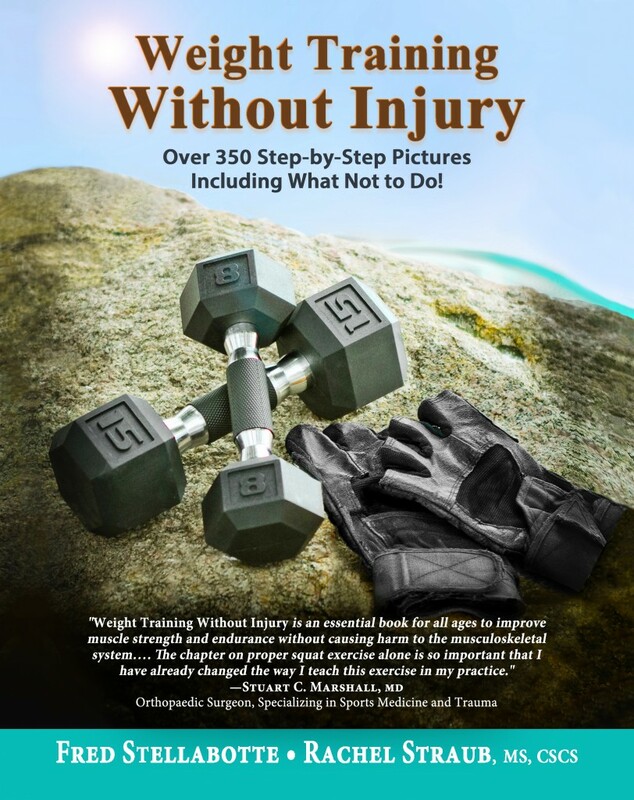 With over 350 full-color, step-by-step photos, Weight Training Without Injury’s unique, revolutionary approach teaches right from wrong at every step with meticulous attention to detail. Stellabotte and Straub’s mission is simple: to enable you to master proper form and prevent injury when lifting weights. This book blends 50 years of experience and success with current scientific research (over 90 peer-reviewed publications are referenced)—all explained simply and organized in a clear format that is easy to follow. The techniques learned here can be applied to exercises found in any bodybuilding, strength training or resistance training manual or program, making Weight Training Without Injury indispensable for the beginner, the seasoned gym goer, and the professional trainer.